Home › Humor › Mitt Romney Says He Is A Fan Of Snooki! Mitt Romney Says He Is A Fan Of Snooki! Just yesterday, we wrote about a Chicago school teacher who joked on a picket sign that mayor Rahm Emanuel liked Nickelback. The teacher apparently thought joking that the mayor liked something generally accepted as lacking talent was a funny burn. Apparently Mitt Romney missed this concept, as according to Yahoo, in a taped interview set to air today, Romney says he’s a fan of Jersey Shore’s Snooki. “I tasted a beer and tried a cigarette once, as a wayward teenager,” he admits in the upcoming issue of People. He must admire Snooki’s wayward ways of drinking way too much! 1. Dr. Pepper! At first it sounds like a groovy new drink as everyone is singing about the importance of being a “Pepper” in commercials that seem to have aired last week, based on the candidate’s recollection. But then the candidate might learn that Dr. Pepper posted an ad on that Facebook doohickey that lightly and humorously suggested evolution may be a theory or something, inflaming many potential Dr. Pepper drinkers and voters! And Dr. Pepper contains the potential mind-altering drug caffeine, and who knows what kind of trouble that might get wayward kids into! 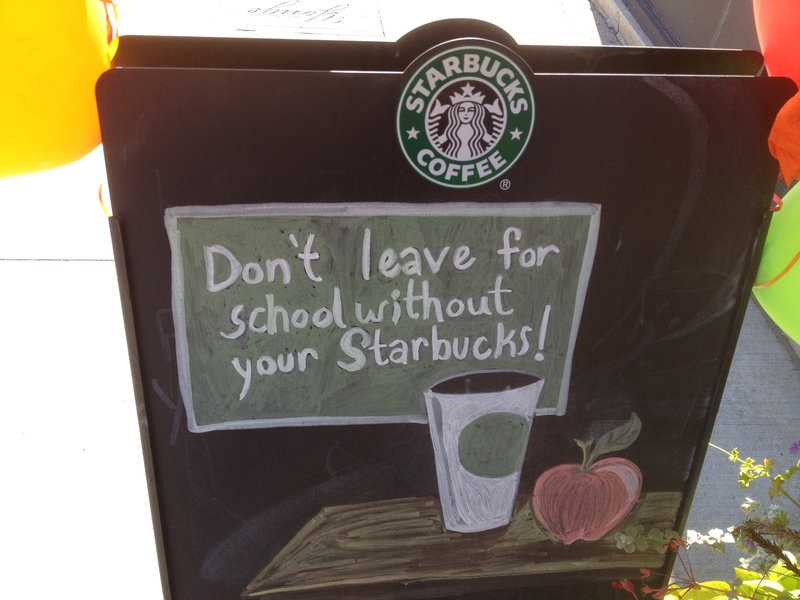 If Starbucks had been invented when Mitt Romney was in school, we wonder if his wayward ways would have him follow this sign’s advice, which hopefully wasn’t targeted at pre-schoolers! 2. The Gagnam Style dance. This dance may seem funny, but it’s not American made! It’s a South Korean imitation of American-like things like pretending to ride a horse, and wave a lasso… perhaps just a little too reminiscent of the way an American jury, consisting of potential voters, found Korean electronics maker Samsung violated Apple’s patents? 3. Utube a.k.a. the web site of the Universal Tube & Rollform Equipment Corporation. If you think this web site is what all of the kids are talking about, it’s time to get new advisers.